The Buccaneers have re-signed running back Jacquizz Rodgers, the team announced on Twitter. It’s a two-year, $3.3MM deal, tweets Adam Schefter of ESPN.com. The 27-year-old’s first season in Tampa was one of the best of his career. Rodgers established career-highs in multiple categories, compiling 560 yards and two touchdowns on 129 attempts (good for a 4.3 yards per carry average). The running back also collected another 13 receptions for 98 yards. The Buccaneers are currently rostering four running backs on their roster: Rodgers, Charles Sims, Peyton Barber, and Russell Hansbrough. Former first-rounder Doug Martin is a free agent. PFR ranked Rodgers as the seventh-best free agent running back, slotting in behind Darren McFadden and ahead of Rex Burkhead. Barring any surprises, running back Jacquizz Rodgers is expected to be back with the Buccaneers, Jenna Laine of ESPN.com hears (Twitter link). The 27-year-old had a breakout campaign during his first season in Tampa, establishing career-highs in multiple categories. Rodgers ultimately ran for 560 yards and two touchdowns on 129 attempts, good for a 4.3 yards per carry average. The running back also collected another 13 receptions for 98 yards. Prior to his 2015 season with the Bears, Rodgers spent four years with the Falcons, where he earned a reputation as a pass-catching back. 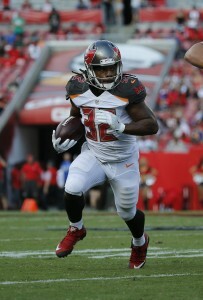 After finishing the 2016 season with four different starters at the position, the Buccaneers currently have four running backs on their roster: Rodgers, Charles Sims, Peyton Barber, and Russell Hansbrough. 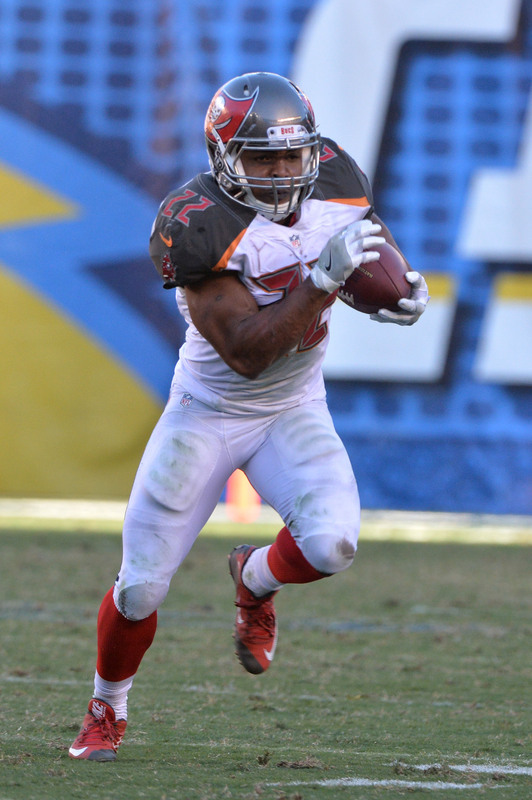 Former first-rounder Doug Martin is a free agent. We recently ranked Rodgers as one of the ten best running backs available in free agency. 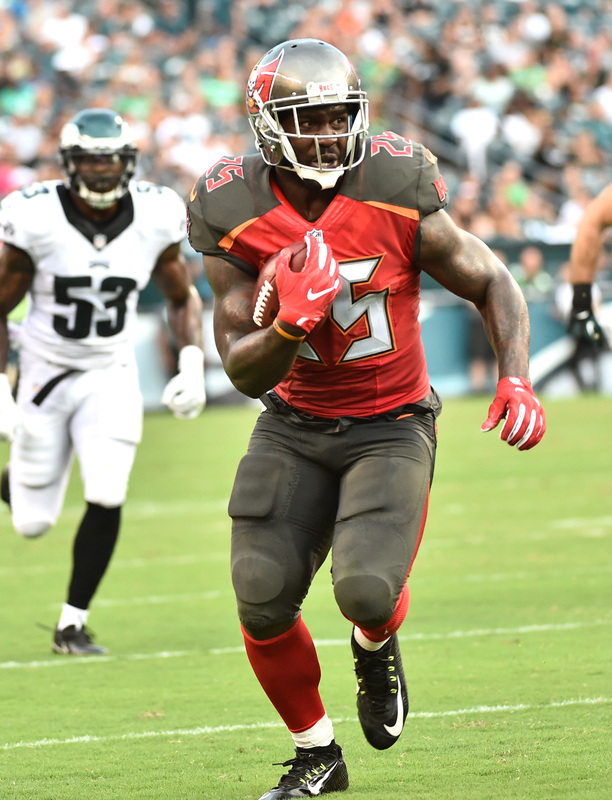 Jackson has been with the Buccaneers since 2012, and he started 16 games in each of his first three seasons as a member of the club, but he has endured back-to-back knee injury-shortened campaigns. 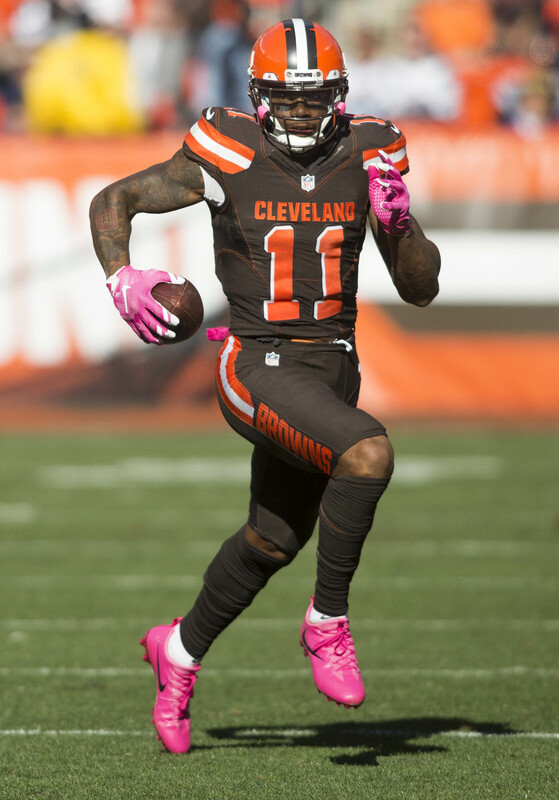 The six-time 1,000-yard man has combined for just 15 appearances since 2015. Regardless of whether the Buccaneers re-sign Jackson, they’re going to target “playmakers” this offseason, Licht revealed. Entering free agency, only three teams have more cap space than the Bucs. Falcons GM Thomas Dimitroff said wide receiver Taylor Gabriel and guard Ben Garland will be tendered as RFAs (Twitter link via Vaughn McClure of ESPN.com). He did not specify what level, however. 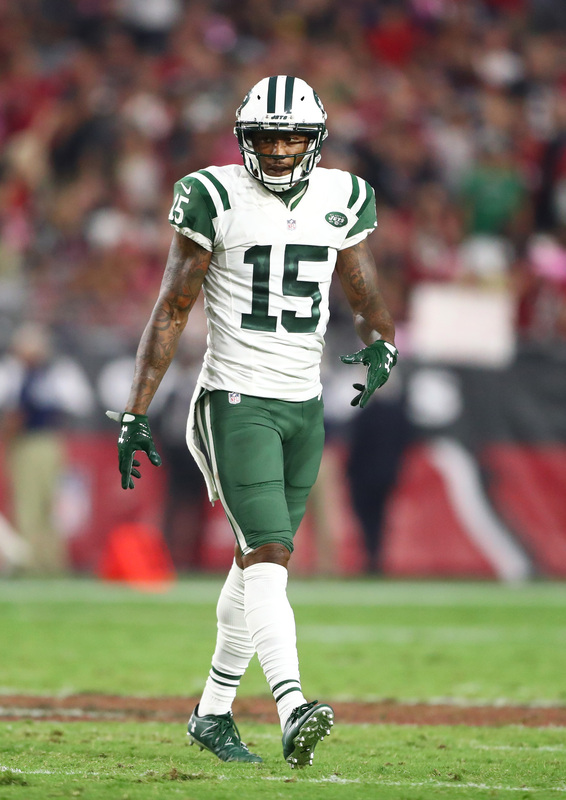 Gabriel was the far bigger contributor of the two last year, when he averaged 16.5 yards per catch on 35 receptions and combined for seven touchdowns through the air and on the ground. Garland appeared in all 16 of the Falcons’ regular-season games, but he didn’t start any. Dimitroff also announced that the Falcons will let defensive tackle Jonathan Babineaux become an unrestricted free agent after 12 years together, D. Orlando Ledbetter of the Atlanta Journal-Constitution writes. Conversely, the Falcons are trying to re-sign fullback Patrick DiMarco (Twitter link). Babineaux, 35, has totaled 185 appearances, 133 starts, 27 sacks and 10 forced fumbles in Atlanta, which selected him in the second round of the 2005 draft. He’s coming off the eighth 16-game season of his career, in which he picked up six starts and 22 tackles. DiMarco, a four-year Falcon, has three 16-appearance seasons in a row under his belt. He made eight starts in 2016. Panthers GM Dave Gettleman told reporters on Wednesday that tackle Michael Oher is still in the league’s concussion protocol. This means the Panthers could be in the market for a starting left tackle. Oher has been dealing with a brain injury since September and only played in three games last year as a result. The eight-year veteran is under contract through 2019. Reserve defensive end Darryl Tapp made it clear Wednesday that he wants to re-sign with the Saints, relays Josh Katzenstein of NOLA.com. Tapp’s agent and the Saints have engaged in discussions about a new deal. The 32-year-old journeyman just finished his first season in New Orleans, where he started in two of 16 appearances. As of last month, the Buccaneers hadn’t held contract talks with soon-to-be free agent running back Jacquizz Rodgers. However, the team would “love to have” him back, Licht stated (via Kevin Patra of NFL.com). Rodgers, 27, put up 560 yards on 129 rushes (4.3 per carry) and scored two touchdowns last season. After running back Doug Martin was suspended four games for PED usage at the tail end of last season, the general thought was that Martin wasn’t long for the Buccaneers roster. However, Tampa Bay intends to “play the Martin situation out” and see where things stand in a few months, according to Roy Cummings of FanRag Sports. Part of the reason for the Buccaneers’ stance on Martin is contractual — because Martin was suspended, his previously guaranteed $7MM base salary for the 2017 campaign is no longer guaranteed. Additionally, Martin is banned until Week 3 of next season, so Tampa doesn’t have to make a call on Martin until nearly a month into the season. At that point, the Bucs will be able to more fully assess their needs and options at the running back position, and decide if retaining Martin is worth the risk. One player who could fill the void in Tampa Bay’s backfield is Jacquizz Rodgers, who rushed for 560 yards in his first season with the Buccaneers. Rodgers is a pending free agent, however, and though he appears to be a priority for Tampa, the club has not started a dialogue regarding a new deal, per Cummings. The Jaguars announced that they’ve hired former CFL head coach Scott Milanovich as their new quarterbacks coach. Milanovich, who played in the NFL with the Buccaneers from 1996-99, has been coaching in Canada since 2003. After serving in a variety of offensive roles for the Montreal Alouettes from 2007-11, Milanovich took over the Toronto Argonauts in 2012, winning the Grey Cup in his first season as head coach and posting a 43-47 record overall. 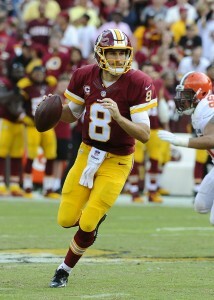 Soon-to-be 49ers head coach Kyle Shanahan tried to trade for Redskins quarterback Kirk Cousins while he was Cleveland’s offensive coordinator in 2014, and also favored Cousins over Robert Griffin III when the trio was in Washington, according to Albert Breer of TheMMQB.com. With Shanahan likely headed to San Francisco, he could theoretically pursue Cousins if the price is right (and Washington is willing to let him go). 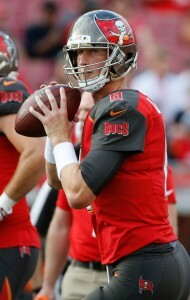 Although the Buccaneers have started dialogue with a good deal of their pending free agents, general manger Jason Licht is clearly targeting a few key players for re-signing, as Scott Reynolds of PewterReport.com and Roy Cummings of FloridaFootballInsiders.com detail in separate articles. Defensive end William Gholston and running back Jacquizz Rodgers appear to be “priorities” for Tampa Bay, while the club also wants to keep quarterback Ryan Griffin given that fellow backup QB Mike Glennon is expected to leave via free agency. Eagles owner Jeffrey Lurie was the driving force behind his club’s refusal to allow quarterbacks coach John DeFillipo interview for the Jets’ offensive coordinator vacancy, and Jeff McLane of the Philadelphia Inquirer writes that Lurie did so in order to keep Philadelphia’s staff together for the benefit of Carson Wentz. Additionally, Lurie is reportedly willing to spend what cap space the Eagles have this offseason in order to secure more offensive weapons for his second-year quarterback. The Cardinals did not renew the contract of running back coach Stump Mitchell, meaning it was the club’s choice to part ways, tweets Josh Weinfuss of ESPN.com. Mitchell, who joined Arizona in 2013, is now free to pursue other opportunities, as Mitchell’s agent last year told PFR’s Zach Links he was open to doing. The Buccaneers have engineered a reunion with running back Mike James, according to Jeremy Fowler of ESPN.com (Twitter link), who reports that Tampa has re-signed James after waiving him with an injury settlement earlier this year. Tampa is looking for backfield depth after Jacquizz Rodgers went down on Sunday against the Raiders — Rodgers has a sprained foot, as Jenna Laine of ESPN.com (Twitter link) reported earlier today, and won’t be playing on Thursday night. The Bucs are already down to their third running back in Rodgers, as starter Doug Martin is still battling an injury and Charles Sims is on injured reserve. James, 25, managed 79 carries with Tampa from 2013-14, but missed the entire 2015 campaign due to injury. He didn’t make the Buccaneers’ 53-man roster this year, and was ultimately waived with a settlement. That settlement was for four weeks, as Greg Auman of the Tampa Bay Times tweeted earlier this year, meaning James only recently became eligible to re-sign with Tampa Bay. The Buccaneers will sign running back Jacquizz Rodgers to a one-year deal today, according to Greg Auman of the Tampa Bay Times (Twitter link). Rodgers auditioned for Tampa Bay last week. Rodgers, 26, is typically regarded as a strong pass protector (and therefore a solid third down back), and could provide some depth behind Doug Martin and Charles Sims. Rodgers also offers familiarity with Tampa head coach Dirk Koetter thanks to his time in Atlanta. Rodgers totaled 41 yards on 14 carries for Chicago last season. 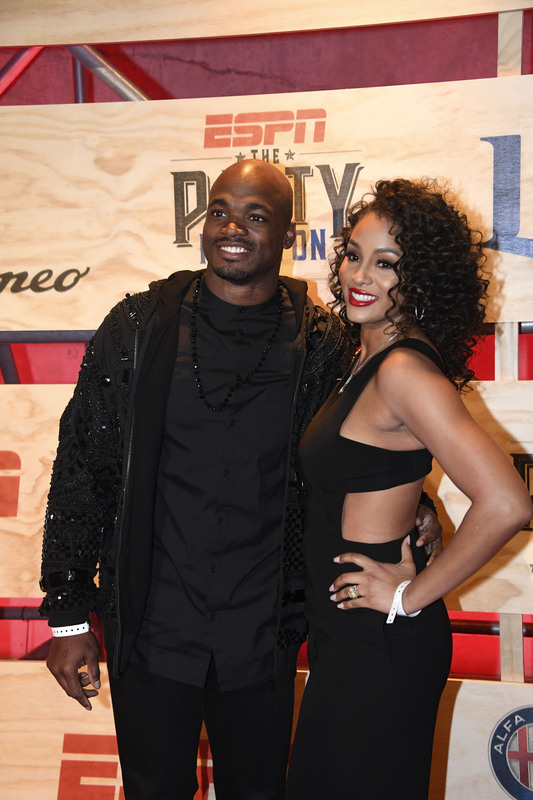 He spent 2014 in Atlanta and rushed for over 1,100 yards and five touchdowns. 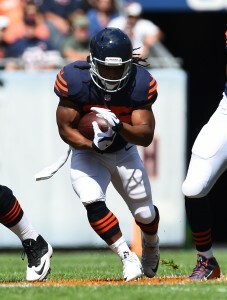 In March, he re-signed with the Bears but he did not make the cut when the team trimmed down to 53. The Buccaneers worked out a handful of players today, including veteran running back Jacquizz Rodgers, according to Jenna Laine and Field Yates of ESPN.com. Tampa Bay also worked former collegiate QB Blake Sims (as a running back) and running back Antone Smith, per the ESPN scribes. Katherine Terrell of ESPN.com (Twitter link) reports that the Bucs looked at former Bengals linebacker P.J. Dawson, while Greg Auman of the Tampa Bay Times (Twitter links) says Tampa auditioned receivers DeAndrew White and Mekale McKay. Rodgers, 26, is typically regarded as a strong pass protector (and therefore a solid third down back), and could provide some depth behind Doug Martin and Charles Sims, and act as an upgrade on Mike James. Fellow running back Smith could also help in that regard, but he’s four years older than Rodgers. Both, however, offer familiarity with Tampa head coach Dirk Koetter, as each played in Koetter’s Falcons offense. Dawson, a third-round pick in the 2015 draft, was surprisingly waived by Cincinnati over the weekend, and recent reports have indicated that Bengals coaches found him to be unreliable on the field. 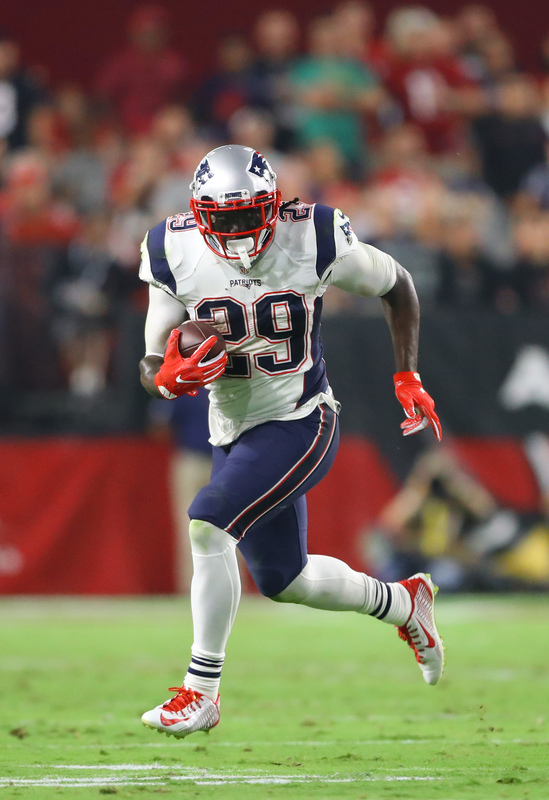 Still, he offers talent, and like the two running backs, Dawson has ties to the Buccaneers’ coaching staff. New Tampa Bay defensive line coach Jay Hayes coached the same position group in Cincinnati, and though he didn’t directly oversee Dawson, Hayes can likely vouch for TCU alum’s ability. The trio of McKay, Sims, and White, meanwhile, has never taken a snap in the NFL. White originally signed with the 49ers as an undrafted free agent earlier this year, but was waived over the weekend.